Because everyone wants to say they made their own alcohol. 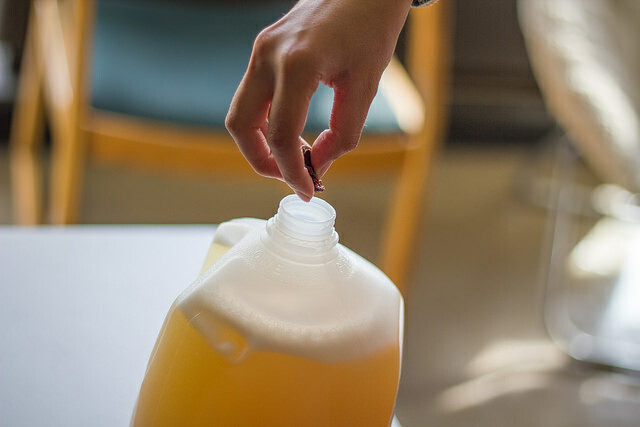 It may not be the most efficient way to get your hands on some booze (the process takes two months start to finish), but mead makes for an easy, cheap drink without a trip to the liquor store. There’s nothing fancy about this home brew; there’s no brew kit with glass carboys, hydrometers or airlocks. Think of it as a science project for adults with some awesome bragging rights at the end. 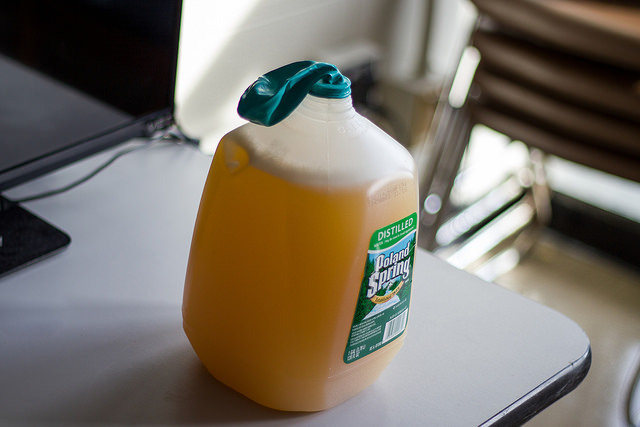 Mead, or honey-wine, is an alcoholic beverage made by fermenting honey and water. Some historical findings even suggest that mead was the first alcohol ever created and was believed to be the drink of the gods (you’re basically drinking an ancient magical elixir). For more historical anecdotes about this this ancient beverage, check out this page. 1. 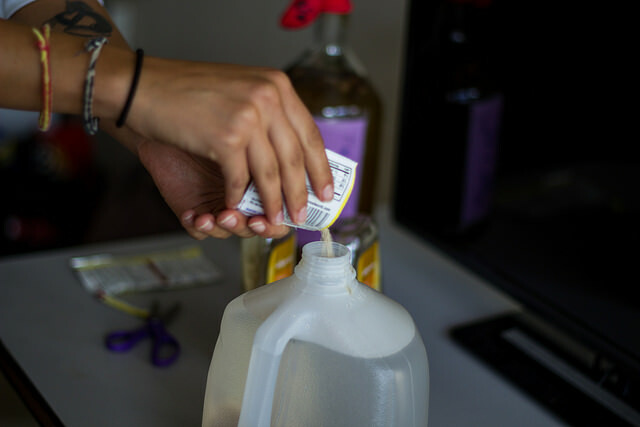 Pour about a quart of the water from the jug into a separate container (you may need to add some of it back to the jug later). 2. Add yeast, honey and raisins. The water level should be about two inches from the opening. If you need to, add some of the water you poured out in Step 1 back into the jug. Photo courtesy of Parsa Lofti. 3. Put the cap back on and shake vigorously for five minutes (or until all the honey has dissolved into the water). This activates the fermentation process. 4. Poke a pinhole in the top of the balloon and sanitize it with hot water and some soap. Rinse thoroughly. 5. 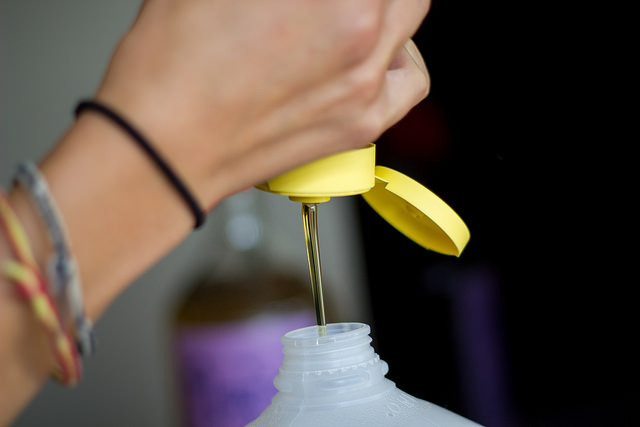 Remove the cap from the jug and stretch the balloon over the opening, securing it with a rubber band. Within the next few hours the balloon will start to inflate. This means the fermentation has begun and you’re on you way to having a homemade batch of honey wine! Keep an eye on the balloon and poke another hole if it seems to be getting too big. The balloon may age and oxidize over time. If that’s the case, just simply switch it out for a new one. After two or three weeks the balloon will become limp. The majority of the fermentation is complete at this point, but it won’t really taste like wine yet. Let it sit for at least another month and a half. After two months, your brew is probably complete! Grab your friends and christen your home brew with some brie and crackers.